When you’re not looking at the wilderness, though, you’re not looking at much of anything, because much of the levels take place within the earth rather than upon it. For every isolated island there’s a network of barely-lit caves you have to creep through, ever conscious of the roaming monsters. 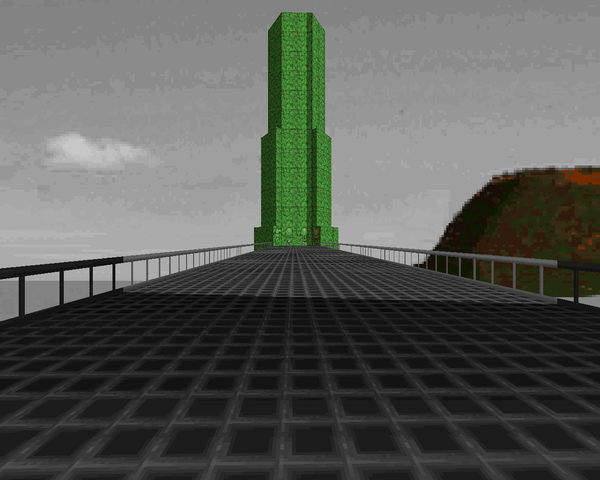 It’s complicated by the fact that Ritenour goes with an unorthodox method of monster placement, where most of the enemies wake up in teleporter closets and then warp into the map as they cross the line, arriving at their destinations semi-randomly. Consequently, they hone in on your position, attempting to mob you wherever you’re at. It’s an interesting method, but when coupled with pitch-black passages like "The Mines of Moria", it can be a frustrating experience. On the upshot, all the maps are pretty short, with the major moments of combat focused in single areas. Usually the difficulty lies in navigating the level layouts or solving Ritenour’s particular class of puzzles. You’ll get used to the barely perceptible staircases for cliff face climbing or switches tucked away on ledges you don’t notice at first glance. Some of the actual secrets are pretty cool, like climbing up deep water drains or additional instances of tunnels that grant easy access to earlier portions of the map. Beware – there are a lot of spaces outside you can fall off of which will result in your guaranteed death. On the lighter side, Ritenour's MIDI selection is amusing, with cuts like "Stand By Me" and "Self Control" undermining the hunted feel you'll get playing the maps. 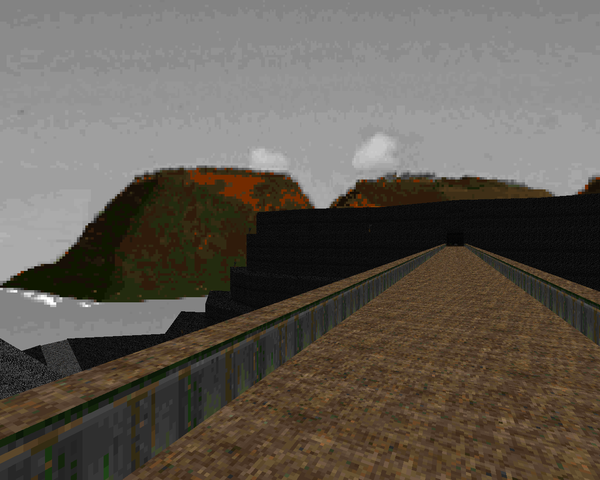 On the one hand, I’m not that impressed with the way Ritenour stages combats, and a lot of the maps aren’t much to look at as they have either very basic architecture or are mired in pitch black tunnels. On the other, the WAD is far from unplayable. I love the puzzles, the method of monster layout is an interesting twist, and there are some special effects you really have to see. Earth is definitely worth a go. Be aware that you’ll spend a lot of time with the SSG, so it’s got that going for it (or against as the case may be). 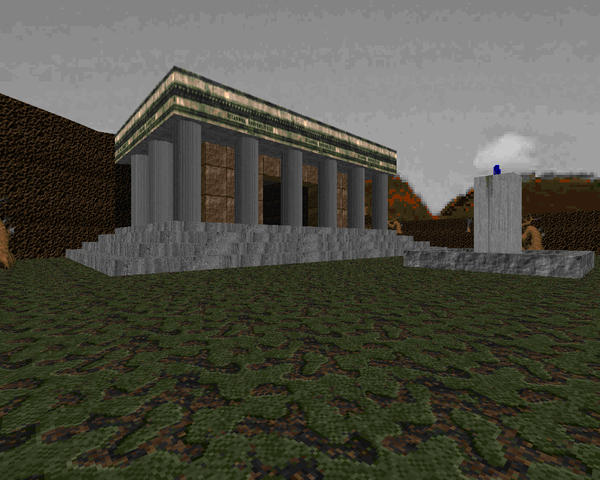 NOTE: There is a version of Earth Ritenour prepared for a now ancient release of ZDoom that accounts for jumping, freelook, and has a bonus fortress in the final map. It’s available on the /idgames archives if you’re interested. Ritenour starts you off with what he does best, a gorgeous vista overlooking waves crashing on the shore and on a breaker rock. It’s a stunning visual effect when paired with the sky. 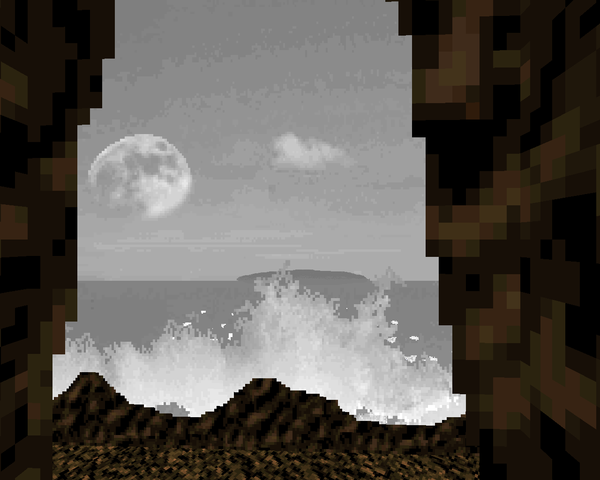 Most of the map is fighting through the ruins and some impenetrably dark cave areas. You can count on a few minor obstacles, like a clutch of cacos in the yellow key area or that outdoor battle around the blue key. Most of what I found fun was exploring the level, finding hidden stuff like the rocket launcher. I’m not quite sold on that network of narrow tunnels running north, but it’s cool how it opens up little secret entrances. 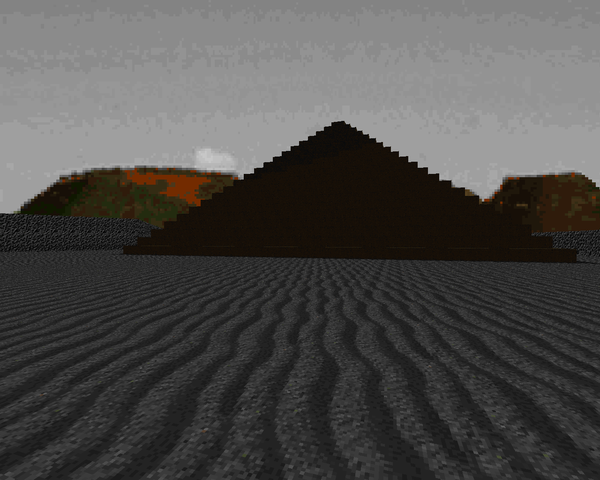 MAP02 starts off overlooking a large pyramid. 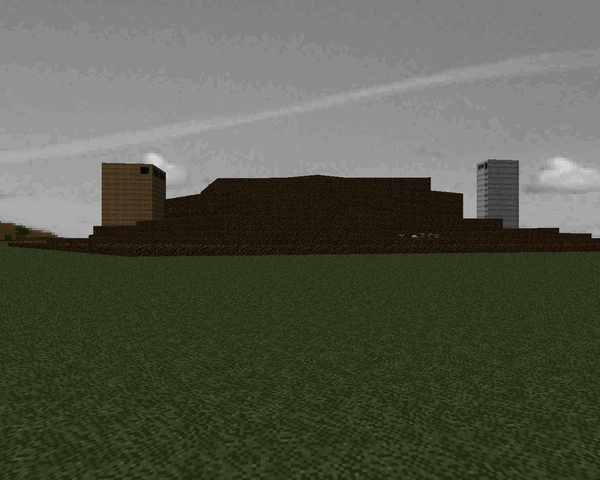 You’ll have to run around and collect some weapons before you go adventuring inside, though. 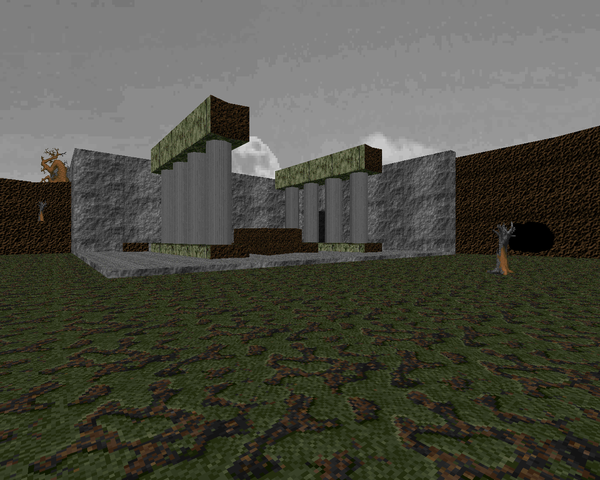 It’s a bit of a puzzle map, like "The Ruins", but with more plentiful ammo than its predecessor. Once you drop into the pyramid base, you have to use switches on a pillar to open up six paths to other chambers which contain the keys. Most of the actual combat is confined to your first few moments entering the pyramid proper, where Ritenour’s hordes amass themselves and rush your position. 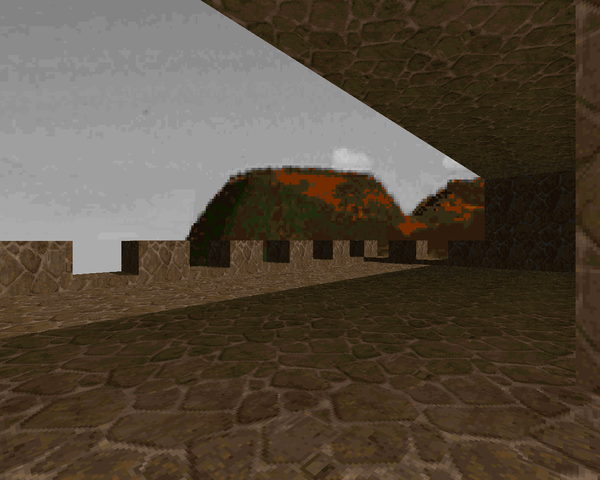 Like "The Ruins", there’s a secret tunnel system for players to explore at their leisure. The mines are dark and deep. Visually they can’t compare to modern-day marvels like Deus Vult II’s "You Shalt Not Pass! ", not that they even try, but as a series of dark, claustrophobic tunnels, they perform admirably (with a few cool visuals like the largest chasm room). 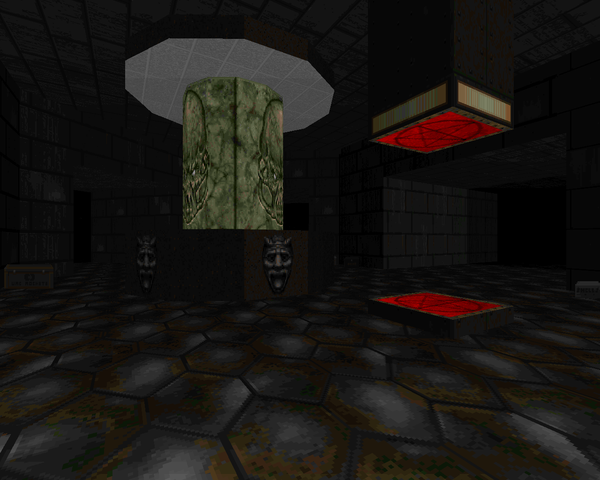 You’ll probably want to turn your gamma up a bit or you’ll probably smack face first into the monsters that randomly teleport into the labyrinth, most of which is hidden on the automap, with the exception of the lighted areas. 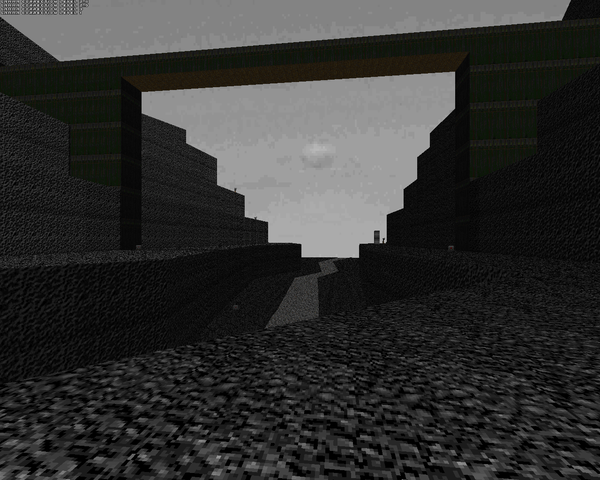 The puzzle lies in navigating the maze with your virtual hand on the wall. It’s too dark for any of the enemies to be appropriately challenging as you’re forced to either tip toe around or bump into melee range. 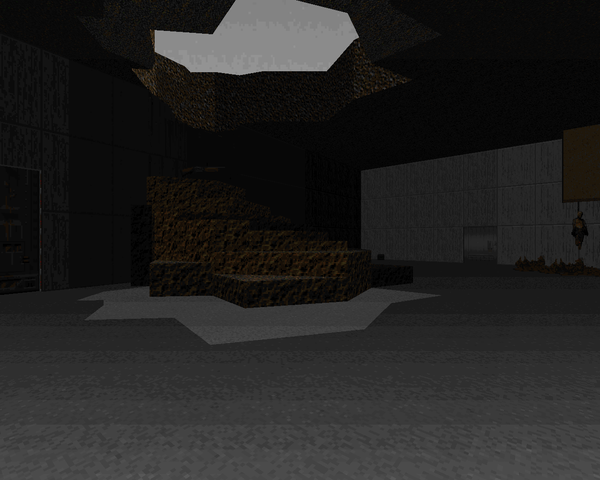 Note – like Doom II’s "The Citadel", you only need two keys to exit. Very short and straightforward. There’s a neat opening fight against a pack of baddies including an arch-vile before the chasm itself, across which an enormous bridge spans. A teleporter dumps you into the ravine, where a ton of monsters begin teleporting in at numerous tiers, all clamoring for your blood. 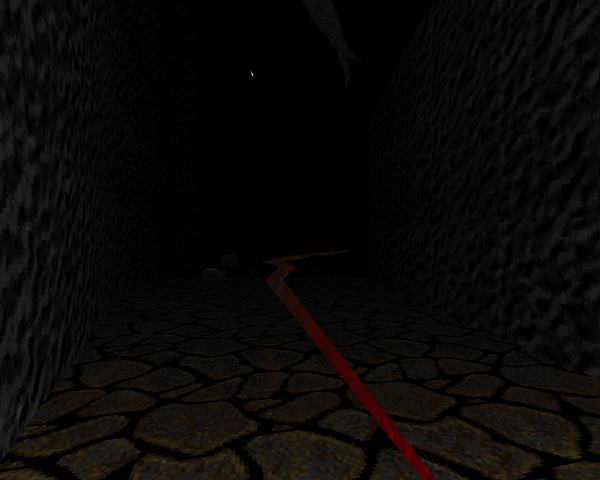 You’ve got to be careful as some of the nastier monsters have a good chance of winding up on less accessible levels. The last feat has you returning to the beginning – one of the few places the confused player can visit – to grab the yellow key. The most important detail to keep in mind is the prevalence of ledges to climb, barely perceptible at first glance but vital for exploration and ammo retrieval. 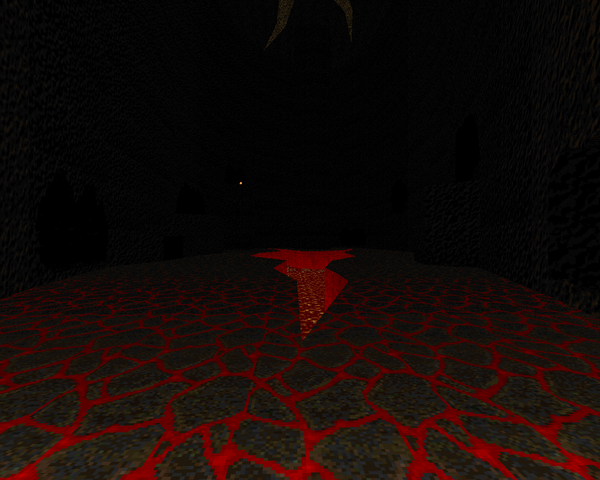 Don’t let the opening fool you; the techbase portion of this level is very small, with the rest of comprised of a network of tunnels similar to the "Mines of Moria" but more open and less mazy. 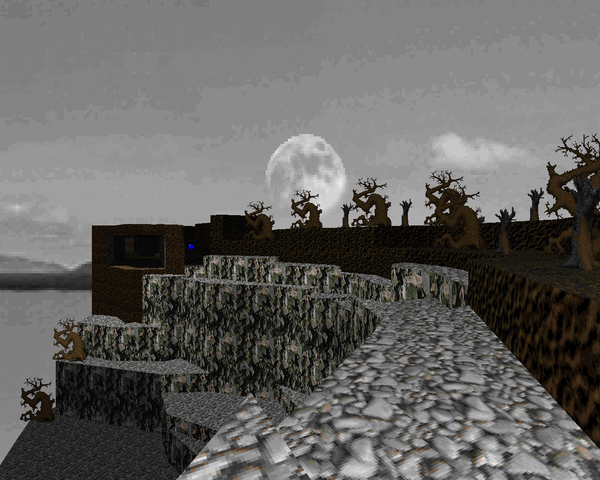 A lot of it is climbing up or down rocky slopes, taking care to avoid the attacks of monsters above or below you (a difficult task in spots like the red key pit). There’s also a huge pack or two to dispatch, most notably the one that triggers with the blue key grab. 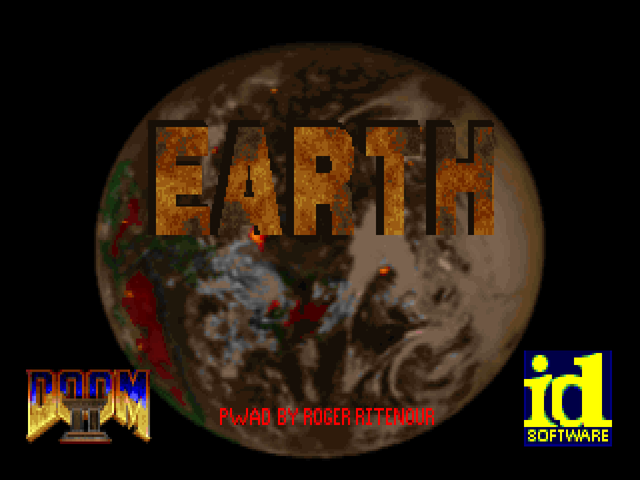 I kind of wish there was some more techbase to play through, but the title of the WAD is Earth, after all. 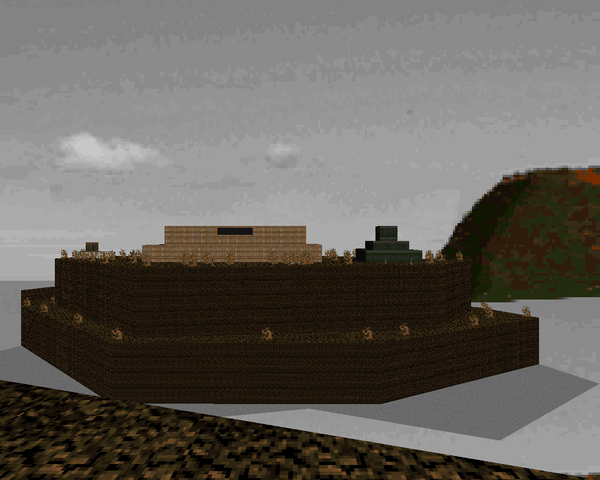 This is a base set into at the tip of an elevated peninsula with a lot of fights taking place in outdoor areas, which have the most memorable sections, like the rooftop where you can see the waves crashing or the precarious mountainside climb. Despite fielding a ton of enemies, it’s not that tough, with the majority appearing as easy to handle hordes. I will say that the arachnotron room and Cyberdemon area were more fun than the rest. The real challenge is in finding Ritenour’s secrets, one of which uses the obscure crusher ceiling / door trick. 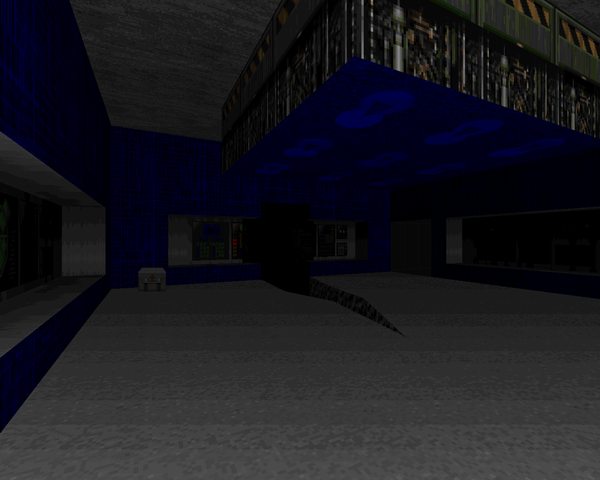 Some neat bits of texture usage to smooth out the ruined areas of the Station, like that collapsed ceiling early on in the map. Err, even more short and straightforward than "The Chasm". I like the approach to the tower, which has some of the better architecture found in the episode so far. There are only two fights. The first is a big brawl with four mobs of demons that you can either SSG zen to smithereens with a handy secret or take out with one of several berserker packs. Nothing tough. 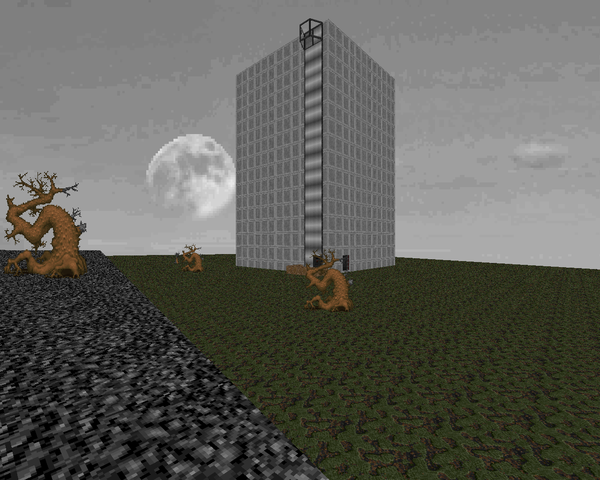 The mancubuses that guard the actual tower may be rough if you’re forced to punch them, but the provided chaingun can do the heavy lifting. I like the look of the shoreline from the bridge; more great SFX from Ritenour. Most of this map is a tangle of criss-crossing tunnels you should be familiar with. Thankfully, the difficult fights are all staged in more open areas, though something might sneak up on you. 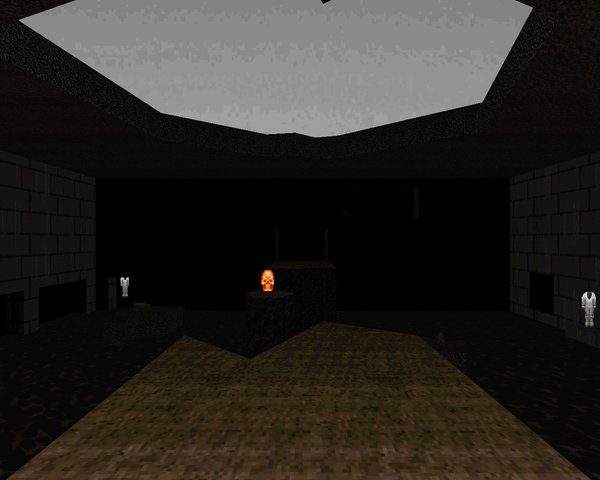 The level’s namesake is a pit filled with various hitscanners, a handful of arch-viles, and a few other random monsters. 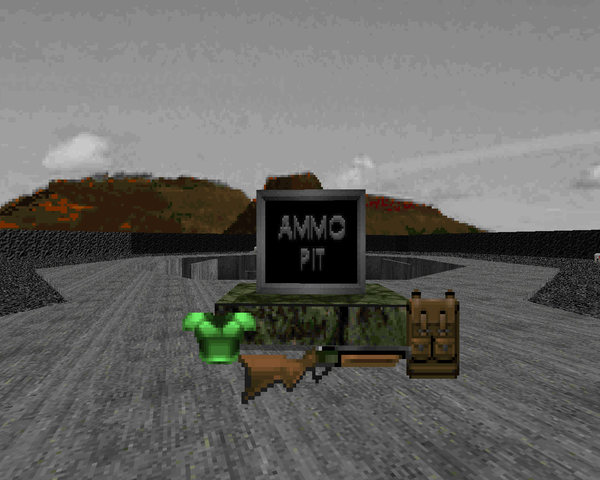 Apart from the SSG right outside the pit, this is the only source of ammo you’ll get during the entire level. The object is to provoke a ton of infighting to produce way more ammo than you can carry and then kill everything, because you’ll be back here to get more shells. I had to return twice to get the goods to 100% the map. As far as SFX goes, Ritenour includes some cool stalactites (visible in an eastern cave) and a neat glass elevator on the side of the western building. This map’s virtually all open air. 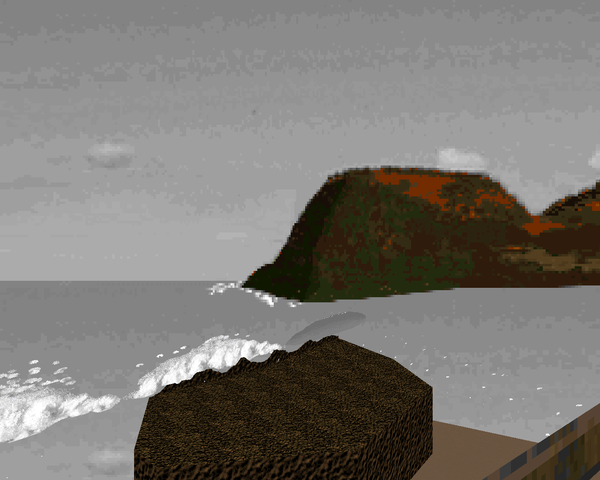 You start out on a small, raised island, fight off some enemies and pick up some ammo, and take a teleport to the other island, which has monsters crawling all over it. Nothing too complicated to handle with the SSG / chaingun, but the open-air pain elemental could cause a ruckus if you don’t deal with him in time. You’ll need to grab three keys on the larger isle to exit, one of which may be well hidden if you’re not used to scouting Ritenour’s ledge-based secrets. Like "The Chasm", this map is all about one thing – the hill. It has imps, hell knights, barons, and a Cyberdemon standing on top. You don’t need to kill them to grab the red key they guard, but you will have to punch through some monsters in the northern tower, which has a critical SSG should you decide to hit up the hill again and off everything. Dig the top room of the northern tower, your "penthouse suite", which has a grandfather clock and TV. Not really the finale I was hoping for, but it works.